The very definition of the word “toddler” is not something precise. The uncertainty comes from the inherent nature of language. Thankfully, we don’t need a precise definition for our purpose since our concern is the safety of the child. A toddler car seat is essentially a forward-facing car seat. It is to be used after the child outgrows their rear-facing seat and before it is the time to transition to the booster seat. To ensure the maximum level of safety for your child, you will have to get the best toddler car seat 2017. 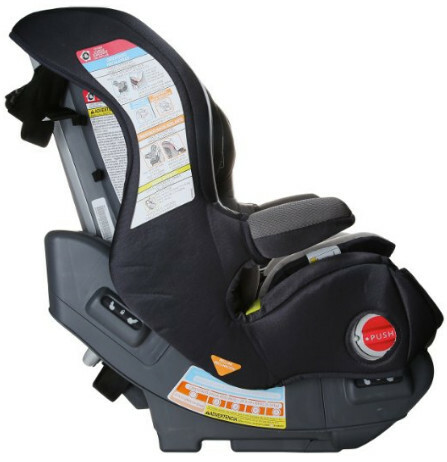 Toddler seats are very similar both to booster seats and seats for infants as well. But that is where the difference lies as well. 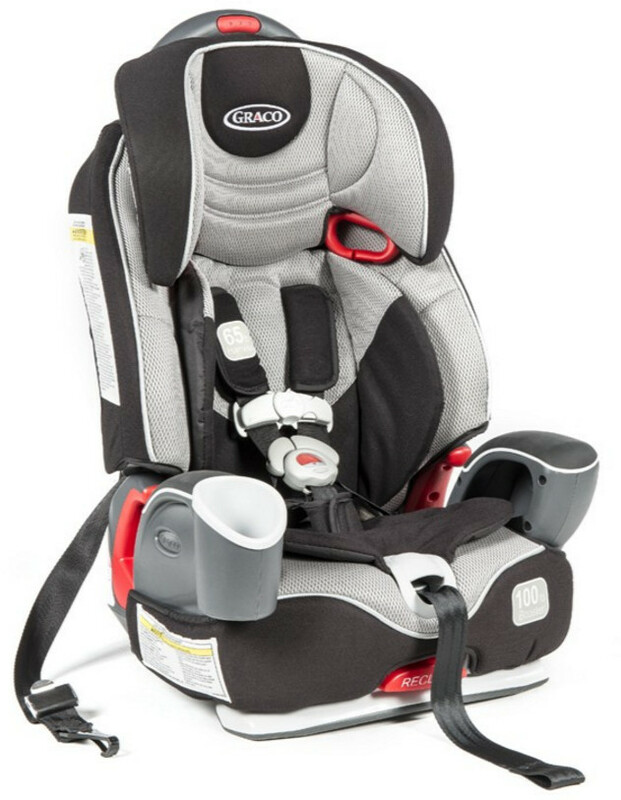 Unlike booster seats, seats for toddlers only utilize the vehicle’s seat belts to keep in place the seat itself. 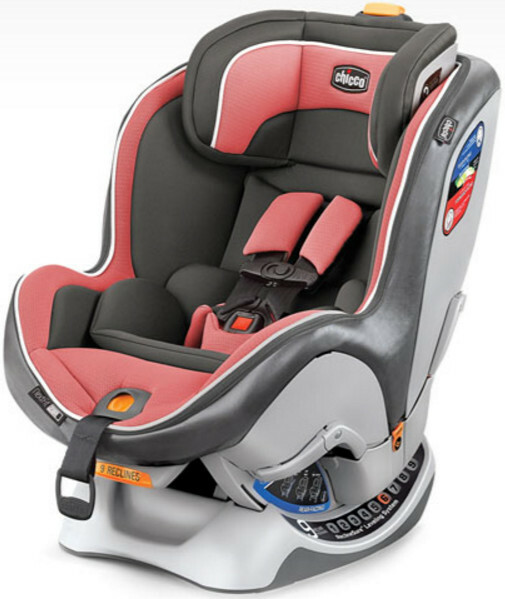 Unlike the seats for infants, toddler seats’ security feature is the harness and not the back of the seat. And of course, they are forward-facing. The main function of a toddler seat is to restrain the child with the harness. In the event of a car crash, the seat is kept in place by the vehicle’s seat belts and the child remains secured in their car seat. According to the CDC’s data, use of a toddler car seat reduces the rate of fatal injuries rate by 54%. The main risks of unbelted traveling are apparent, however, use of adult seat belts or premature use of a booster seat have their own risk. Aside from the possibility of neck and internal organs injuries, there is also the possibility of submarining, which is sliding under the belts in the event of a frontal collision. It is important to install the car seat properly. Loose installation increases the risk of an injury. 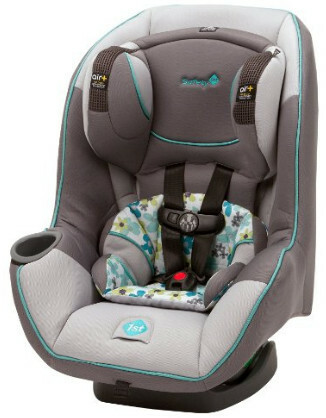 The American Academy of Pediatrics recommends using a rear-facing car seat until the child is 2 years old or until they reach the height and weight limit for their seat. Booster seat use is advised for children between 8 and 12 years of age or until they have reached 4 feet 9 inches tall. However, recommendations vary depending on the institution that has issued them. The age limit is only a guideline. Do note that early transition to and from a forward-facing seat is ill-advised. Using a rear-facing seat is recommended for as long as possible. Transition to booster should not be rushed as well. Despite the age limits, there is a possibility to use one seat for several seat stages. The answer to that is a convertible seat. 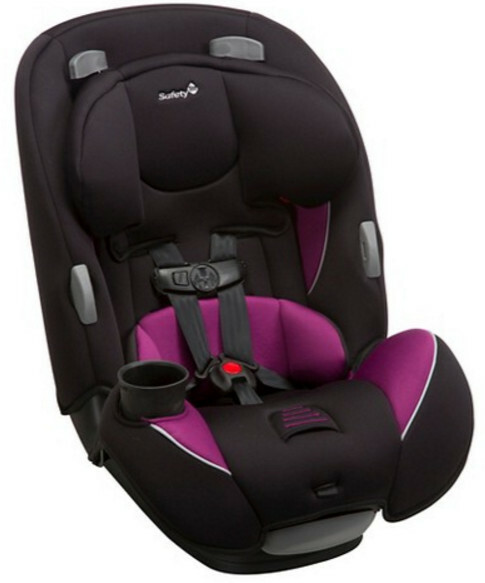 There is a number of car seats that can be used both as rear-facing and forward facing. In the rear-facing mode, they are meant for infants. In the forward-facing mode, toddlers can use them. You might also consider purchasing a booster seat with a harness. Such a booster seat can function as a proper toddler seat before you transition to booster. The Advance SE 65 is a convertible seat. The weight range is 5 to 65 pounds. However, since this is a convertible seat, the relevant range is 22 to 65 lbs since that is the limit for the forward-facing mode. As for the rear-facing mode, the weight limit is 5 to 40 lbs. The seat is reinforced with a steel frame in order to increase the safety in the event of a car crash. The frame increases the stability of the seat and is capable of resisting compressions. The seat comes with advanced side impact protection. Air Protect+ utilizes GCell HX foam for torso protection. A four-position recline allows an optimal fit in any position. The main advantage of this seat is its price. The seat is safe and has extra protection. However, the Advance SE 65 is also very big. 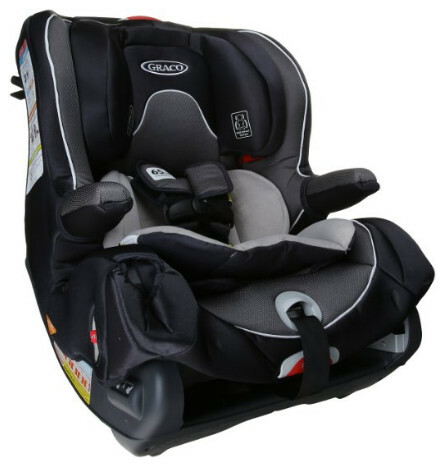 Depending on what vehicle you possess, you might consider purchasing a smaller car seat. 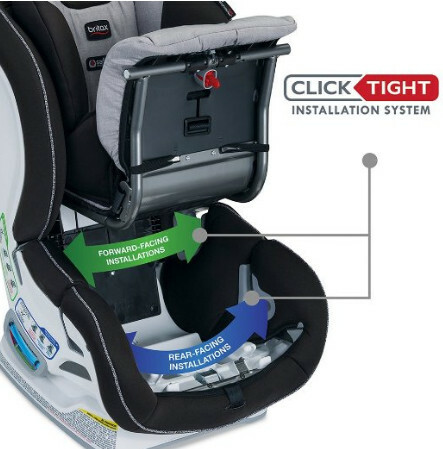 The Advocate ClickTight is a convertible seat that can serve as part of a travel system since it is equipped with Britax ClickTight Installation System. However, that is not its main feature. What matters most is the safety potential. 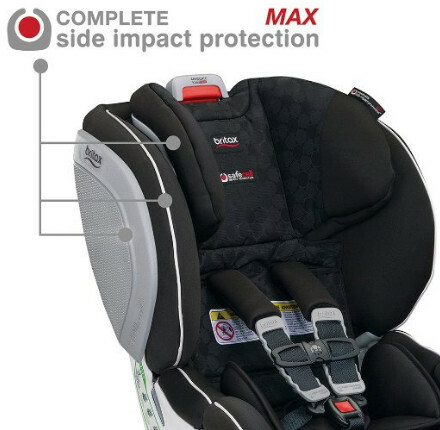 The Advocate ClickTight car seat has three layers of SafeCell side protection. The steel frame makes the seat more rigid and increases its resistance to excessive pressure. Combined with energy-absorbing base and V-shaped tether, the potential for forward movement in the event of a frontal collision is greatly reduced. The harness is easy to adjust and has 14 possible positions. The height of the seat is changed easily and one-handed. The seat is meant for children between 5 and 65 lbs in general but only between 40 and 65 lbs in the forward-facing mode. The Advocate ClickTight advantage is the fact it is very easy to handle. Its safety features are also very extensive. The price is above average. The Nautilus 65 is a booster with a 5-point safety harness. 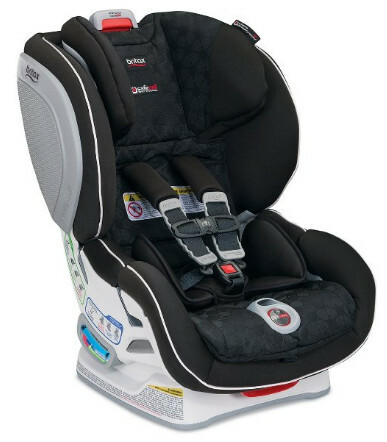 However, it is not the most optimal choice if you would prefer it as a booster rather than a toddler car seat. That does not mean the seat is a bad booster, however, as far as boosters go, there are better ones. At the same time, they do not make just as good toddler seats. Multi-purpose tools, car seat included, are not as good as tools created for a single purpose. In the harness mode (i.e. 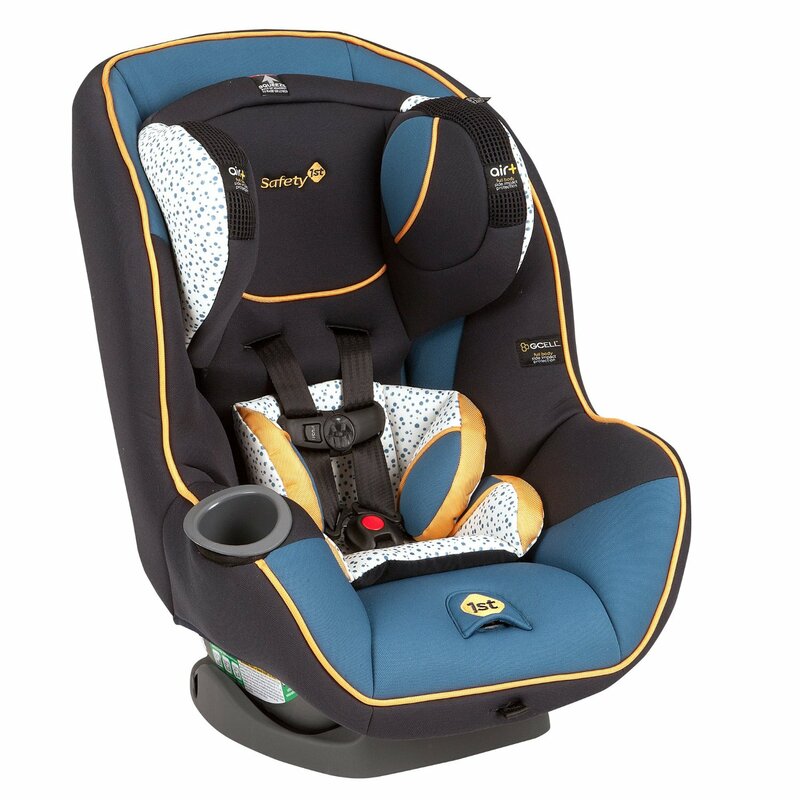 as a toddler seat), the Nautilus 65 is capable of restraining a child between 22 and 65 lbs. If you intend to use the seat in the booster mood, you can count on the 30 to 100 weight limit. 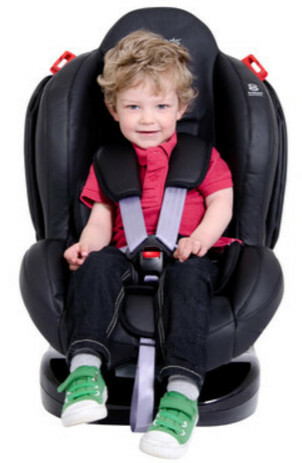 The harness can be adjusted easily to accommodate your children as they grow. 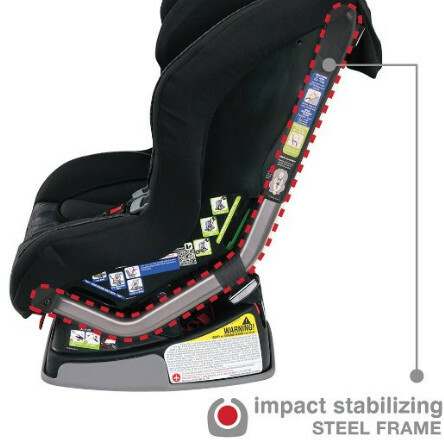 The car seat is reinforced with a steel frame. It performs adequately in the case of a sudden impact. The seat has also been tested for side impacts. 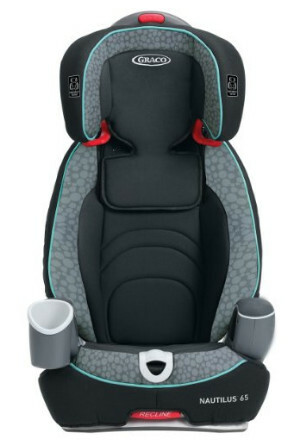 As for the child’s convenience, the seat is equipped with a storage compartment and a cup holder. The Nautilus 65 is a good seat and not overly expensive. It is constructed with multiple technologies and has an acceptable price and quality ratio. However, it has one significant drawback: the seat is capable of ruining leather seat since it is designed to be held in place very tightly. 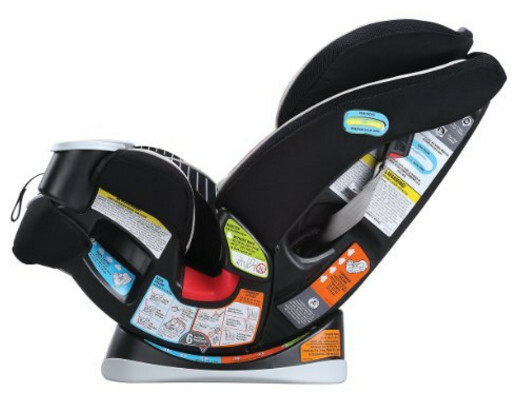 The Continuum car seat is a 3-in-1. 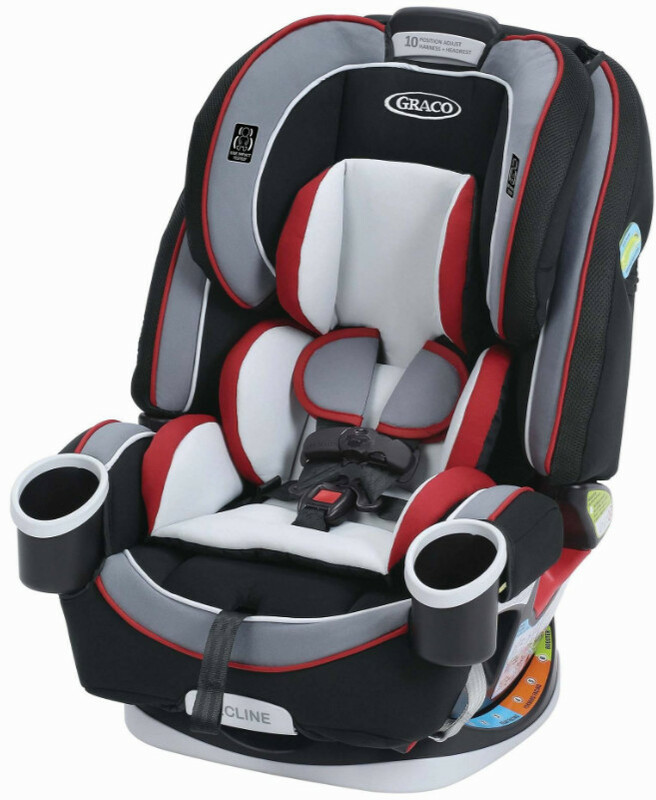 Unlike some other car seats, this one is suitable for infants, toddlers and young children up to 80 lbs. The seat has effectively three modes: rear-facing mode, the forward-facing mode and booster mode. That said, it be noted that Safety 1st do not make boosters as good as their seats for younger children. Two of their booster seats are Not Recommended according to the IIHS Evaluation. 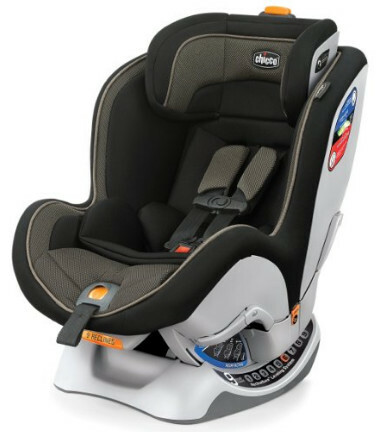 You can read the review on booster seats to find out more. For now, we can tell you that their harness seats and boosters in the harness seat mode are perfectly capable of competing against the best of car seats. Although this particular seat’s Evaluation is a Good Bet. In forward-facing mode, the Continuum can accommodate toddlers between 22 and 50 lbs. It comes with a removable cup holder for your child’s convenience. 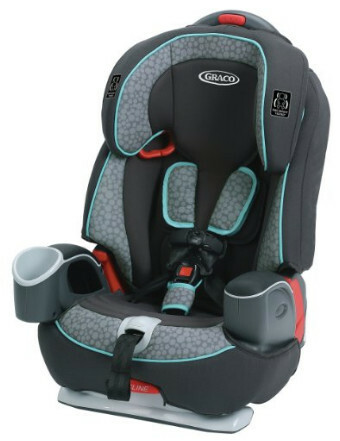 The Continuum car seat’s main advantage is that it is a car seat for all ages. 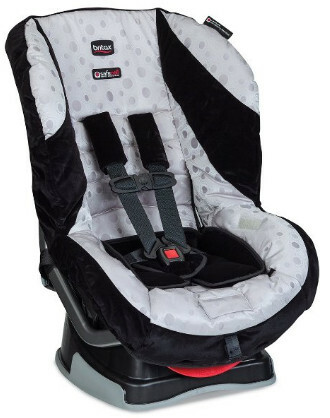 It can hold your child from infancy until they no longer need a car seat at all. The price is below average. 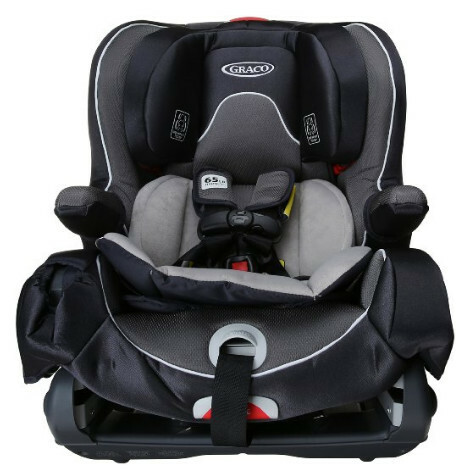 The Roundabout G4.1 is a standard convertible seat from Britax. It is a good fit for children between 5 and 55 lbs. Not as much as most other seats but still adequate. When in forward-facing mode, the seat is capable of accommodating toddlers between 22 and 55 lbs. It is equipped with a tangle-free 5-point harness. What is more important, it has the SafeCell side impact protection system. Thanks to that, the seat is capable of protecting your child far beyond minimal safety requirements. The impact protection system can also shield the child from debris in the event of a car crash. The Roundabout has 3 recline position and it is very easy to adjust. The plush foam padding is perfect for extra comfort. Installation of the seat is not particularly hard due to the latch-on connectors. 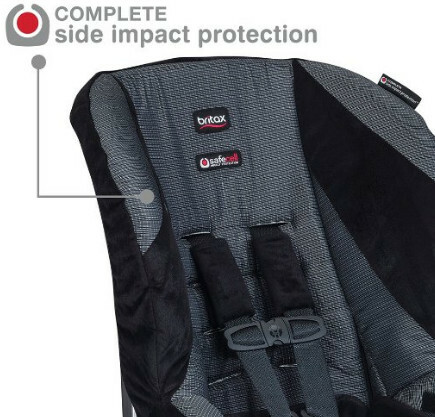 This car seat’s main advantage is its advanced protection level. Not only is it tangle free, it is also capable of shielding your child from debris. The price is average. 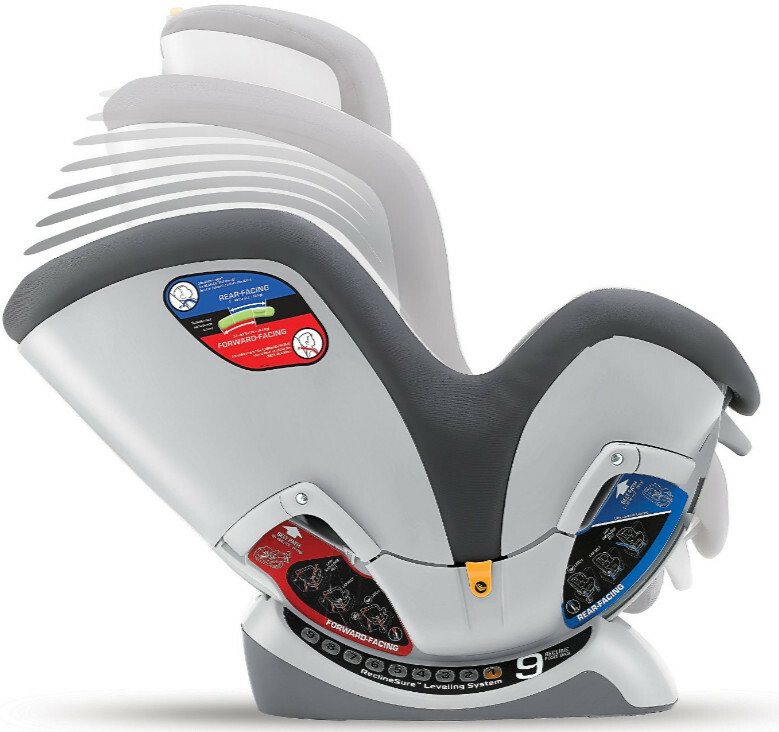 The SmartSeat All-in-One is a car seat for children of any age. As far as weight limits go, it is good for children between 5 lbs and 100 lbs, between 20 and 65 lbs in forward-facing harness mode. All in all, it is a seat to replace three seat. Although it best performs as a toddler seat, it is a very good seat in any other mode. The SmartSeat is reinforced with a steel frame to increase its durability and performance in a car crash. 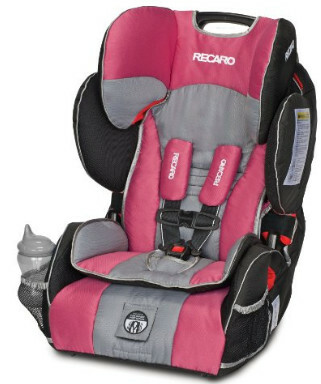 It meets and exceeds car seat safety standards. Additionally, the SmartSeat is constructed with energy absorbing foam. 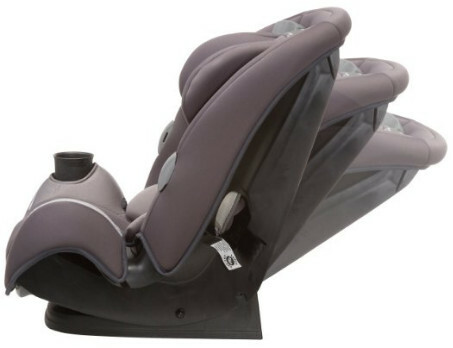 It also feature an easy 5-position recline for the convenience of the parents and the child. For the child’s convenience, the seat is equipped with a cup holder. The SmartSeat’s price is above average. 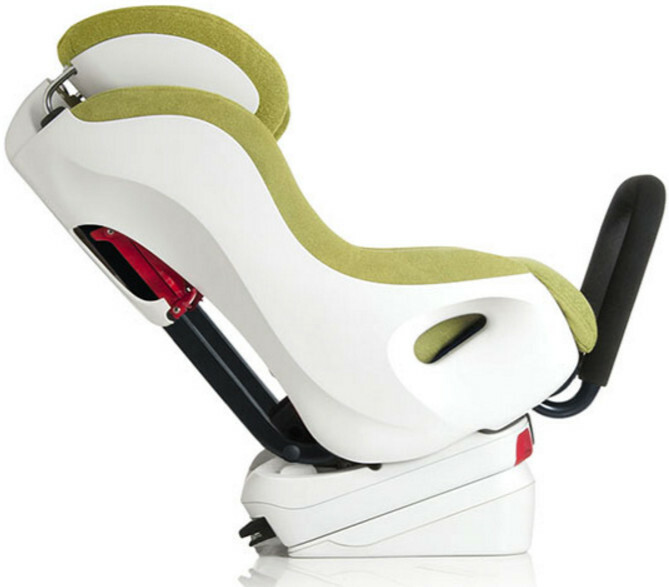 It is a perfectly balanced multi-purpose seat, good for children of all ages, as well as possessing a rather wide weight limit. The NextFit seat is a standard convertible seat, not counting its unique features. Its weight limit are standard: between 22 and 65 lbs for forward-facing mode and between 5 and 40 lbs for rear-facing mode. It can be installed in a wide range of vehicles. The seat has a 6-position headrest and a 9-position recline system, making the seat exceptionally comfortable for children. In fact, it functions similarly to an infant bucket seat. The Super Cinch LATCH Tightener allows a very secure and tight fit. However, it also make fastening the harness somewhat hard. 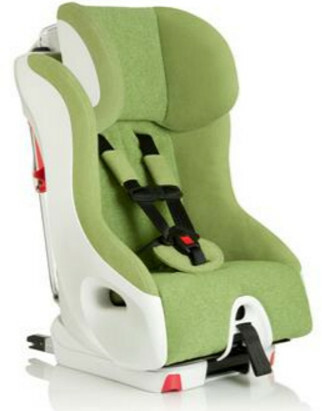 The seat can be combined with an infant insert for smaller babies, thus increasing the safety even more. As far as growth accommodations go, the seat is also equipped with a 2-position chest clip. The NextFit also has a thermal-insulated cup holder for the toddler’s convenience. The seat’s price is above average. However, the NextFit is very safe, comfortable and stylish. The harness is a very tight fit. The Performance SPORT is a booster seat that can double as a toddler seat. 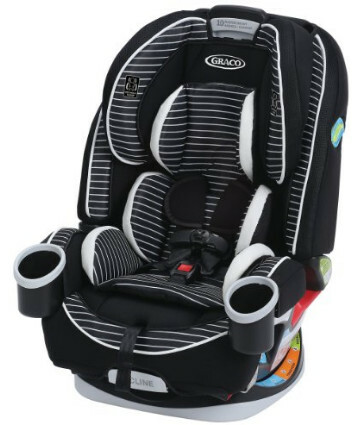 A perfect purchase for transition from toddler seat to booster, since performs more than adequately both as a booster seat and as a toddler seat. It has a 35 lbs weight limit overlap facilitates the transition even more. As a booster, the Performance SPORT is a Best Bet according to the IIHS Evaluation. It is a perfect fit for most children and vehicles. As a toddler seat, it is good for children between 20 and 65 lbs. 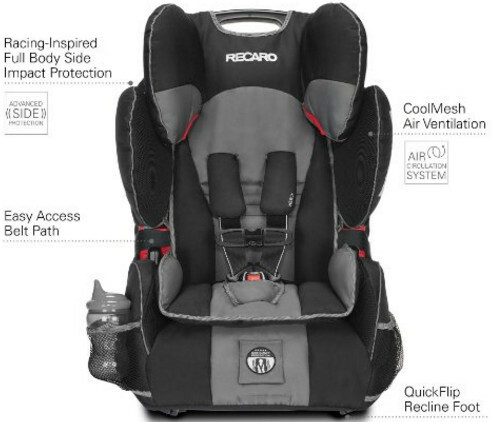 The seat is equipped with a memory foam pad, which makes it extremely comfortable for the child. Memory foam functions by contouring body outlines thus providing ideal support and pressure relief. It should be noted that memory foam retains heat. However, the Performance SPORT also has the CoolMesh air ventilation to deal with that. The Performance SPORT is not as cheap as some other seats but cheaper than yet some. However, the price is absolutely justified, since it is a good booster seat as well as an extra comfortable seat in general. 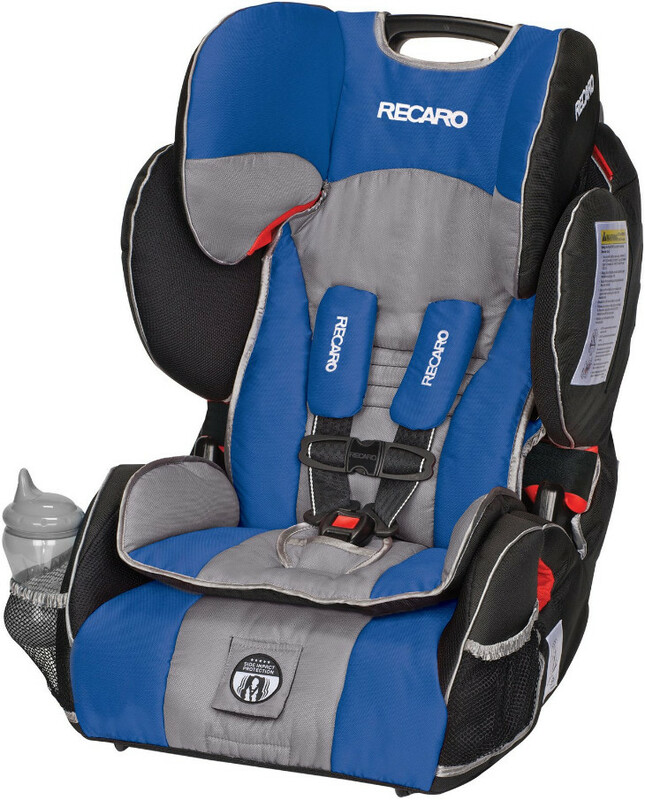 The 4ever All-in-One from Graco can accommodate children in a very wide range of weight, starting with 4 lbs and up to 120 lbs. As such, it is a good seat to purchase if you do not plan on getting another for when your child grows up. In forward-facing harness mode, the 4ever is capable of accommodating toddlers between 20 and 65 lbs, a standard weight limit. 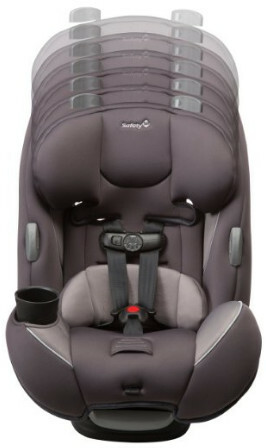 The seat is equipped with the Simply Safe Adjust Harness System for your child’s safety. The 10-position headrest allows to adjust the harness and headrest even more easily. The 6-position recline can be used to accommodate your child and provide them with more comfort. The 4ever is one of few seats that can actually go from a rear-facing seat to a booster. Not only that, it is also specially equipped with cup holders for children’s comfort. The seat has been tested for side impacts, including solely with the harness. The main advantage of the 4ever seat is the wide weight limit range combined with the safety features employed in the construction of this seat. The price and quality ratio is more than reasonable. 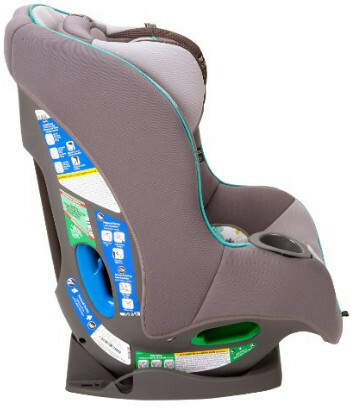 The Foonf seat is undoubtedly one of the safest car seats in the world. 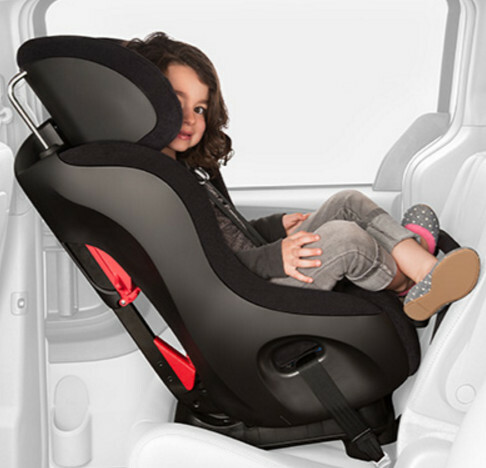 One of the key features is that it can be used in rear-facing mode until the child is 4 years old. The longer the child travels that way, the longer they are safer. At the same time, its features as a toddler seat are also very impressive. The Foonf is reinforced with a steel and magnesium frame, which make it exceptionally rigid and resistant. It is also equipped with an anti-rebound bar to increase the seat’s stability and limit its rotation. The Foonf seat is expensive. However, it offers much as well. It provides perfect side impact protection and can keep the child safe in the event of a car crash, no matter the severity.